The conflict between policyholders and insurers over “long-tail” insurance coverage took an unfortunate turn with a recent decision by the New York Court of Appeals on the issue of allocation for long-tail claims. On March 27, 2018, the court issued a decision in Keyspan that significantly impacts policyholders by decreasing the insurers’ proportionate share of financial responsibility and increasing the share imposed on the insured. 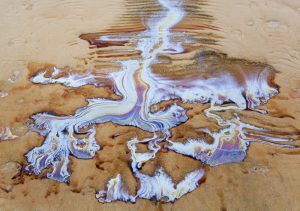 This case involved long-term and continuous environmental contamination that began before comprehensive general liability insurance became available in the marketplace and continued, unobserved, across multiple policy periods. At issue was whether, under the “pro rata time-on-the-risk” method of allocation, Century Indemnity Company was liable to its insured, KeySpan Gas East Corporation, for years outside of its policy periods when there was no applicable insurance coverage offered on the market. The underlying liability battle stemmed from environmental contamination caused by manufactured gas plants owned and operated by KeySpan’s predecessor, Long Island Lighting Company. Decades after operations ceased, the New York Department of Environmental Conservation determined that there had been long-term, gradual environmental damage and required KeySpan to undertake costly remediation efforts. KeySpan sought coverage from its insurer, Century Indemnity, for damages that occurred both during the periods its policies were in effect and during periods when coverage was unavailable. Determining the distribution of liability among various insurers, as well as between insurers and policyholders, is complex and often contentious. Some background context on this issue is helpful to understand the impact of the Keyspan decision. In general, two primary methods of allocation are used by the courts to apportion liability across multiple policy periods: all sums and pro rata allocation. Policyholders typically support the all sums method, which allows the insured to collect its total liability under any policy program in effect during any period that the damage occurred, up to the policy limits. The contractual basis for this result is found in the insuring agreement and “occurrence” definitions of the standard CGL policy, which respectively promise to pay “all sums” the policyholder becomes legally obligated to pay because of an “occurrence” during the policy period, and defines a single “occurrence” as “a continuous or repeated exposure to conditions” giving rise to liability. The result is that one occurrence straddling multiple policy periods triggers coverage under multiple successive policy programs, each of which is liable to pay all sums because of the occurrence, subject to policy limits. Policyholders prefer this result because it allows them to pick one policy year, avoiding the risk that a long-tail loss will be subsumed among multiple self-insured retentions or deductibles or, as in the case of KeySpan, allocated to years before or after CGL coverage was even available in the marketplace. Insurers, by contrast, prefer to allocate the loss pro rata across all years in which the occurrence took place, allotting a proportional share of the total loss representing the portion of the loss that occurred during the policy period. Where insurers have won this battle, they have often escaped their coverage obligations altogether. Across the United States, state supreme courts are evenly split on this issue, but in principle, New York’s courts have long upheld pro rata allocation. There have been only two cracks in the armor, so far. First, in the recent Viking Pump case, the same New York Court of Appeals upheld all sums allocation when a policy contains a “non-cumulation of liability clause” (purporting to collapse all losses to one policy period). Second, in Stonewall Insurance Co. v. Asbestos Claims Management Corp., the U.S. Court of Appeals for the Second Circuit, predicting New York law, held that even under pro rata allocation, a policyholder should not be held responsible for those periods of time when the relevant coverage was not offered for sale on the market. The Stonewall court held that a policyholder bears the risk for periods of time when it elected not to purchase available insurance, but not for those years when insurance was unavailable. 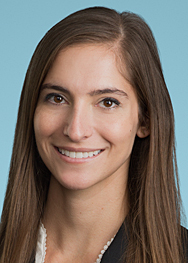 In KeySpan, the New York Court of Appeals held that the “unavailability of insurance” exception did not apply in pro rata allocation cases under New York law, placing the risk and burden of periods where no insurance was commercially available on the insured. All is not lost for policyholders, however. First, under the New York Court of Appeals’ Viking Pump decision, policyholders remain entitled to “all sums” allocation under policies that contain an express “non-cumulation of liability clause.” Liability insurers historically issued many policies with that provision, and it is not unusual to find one or more such policies over the many years of coverage that may apply. Policyholders and their counsel should review all historical policies carefully to determine whether such a clause is present. In the absence of such a clause, policyholders should carefully consider whether they can bring their claim under the law of a state other than New York, including any applicable jurisdiction that strictly applies the “all sums” language of the CGL policy.